Thanks to everyone who came out to complete! We had the first National Championship Regionals at Gen Con! Around 400 players fought through two days of fierce competition for the right to become National Championship finalists! 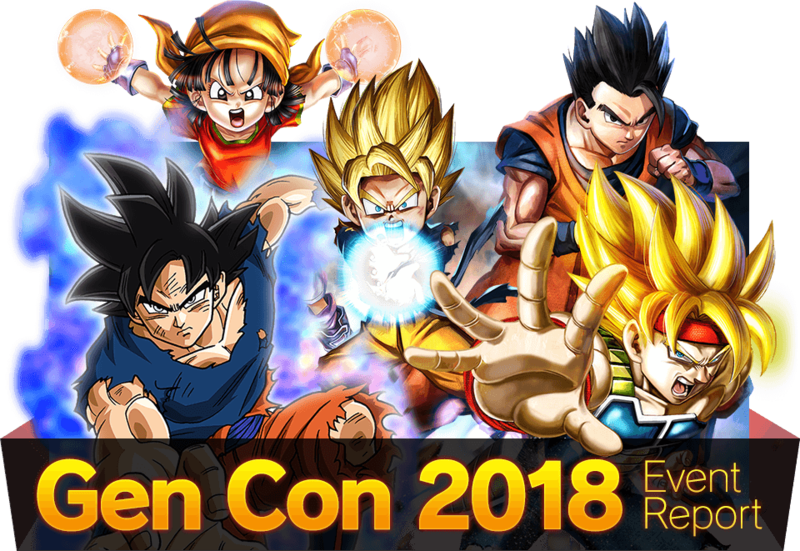 The Dragon Ball Super Card Game team wishes to express its sincere thanks to all our hard working judges, who were a massive help during the tournament. We couldn’t have done it without you, and we hope you’ll continue helping us provide an exciting and fair experience to all our players. At our booth, we showed off the promotional video and cards for the new set coming out in September: "The World Martial Arts Tournament"! Check the link below for all the details on this exciting new set! The journey to the National Championships has only just begun. If you want to get in on the action, check the tournament details and join in! And once again, we wish express our thanks to everyone who participated in Gen Con 2018!